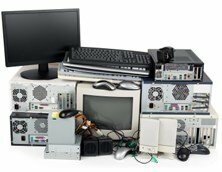 All Green Electronics Recycling is proud to help residents of Guadalupe recycle electronics. Guadalupe is a small city located in northern Santa Barbara County, ten miles west of Santa Maria. The city is home to several small businesses, parks, and restaurants. Help keep Guadalupe clean and e-waste free with All Green!